If you find yourself constantly craving chips, then you're going to be all over this snack recipe. 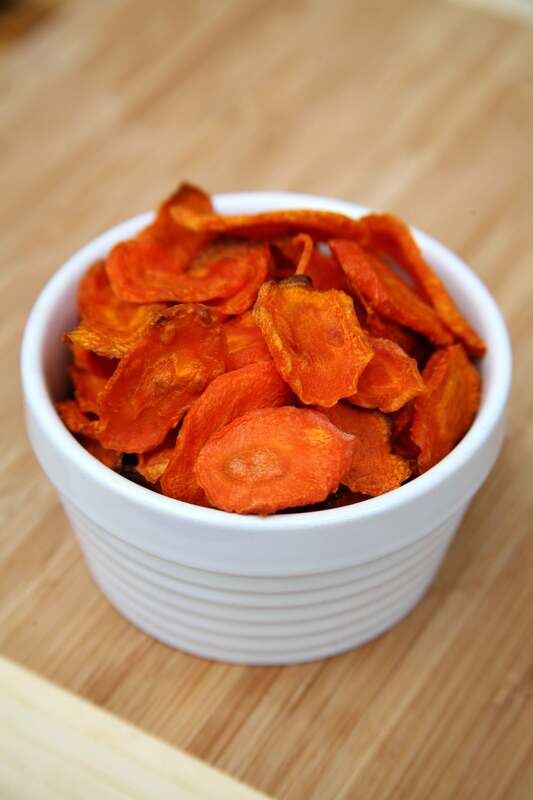 Made with carrots and baked instead of fried, these crunchy gems are a much healthier alternative to traditional potato chips. 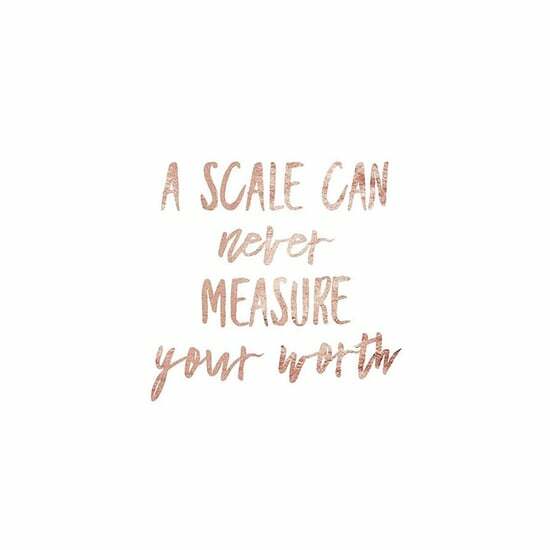 Aside from a healthy dose of vitamins A and C and fiber, carrots contain antioxidants that may help reduce the risk of cancer and also improve your immune system. Plus, their natural sweetness combined with a sprinkle of salt offers an oh-so-satisfying salty-sweet flavor you won't be able to resist. 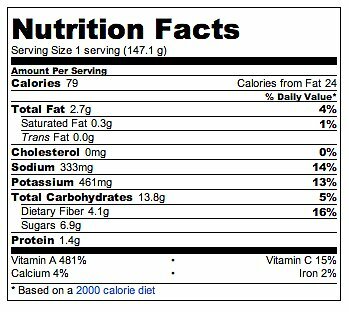 The entire batch contains just 79 calories and offers 4.1 grams of filling fiber — potato chips have 160 calories and only one gram of fiber. These chips are only seasoned with sea salt, but feel free to get creative and add cinnamon for a sweeter flavor or black pepper, cumin, or cayenne for a little kick. Wash and peel the carrots. 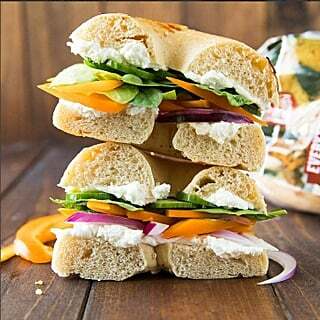 Using a mandoline slicer or a knife, tilt the carrot, and thinly slice diagonally to make oval-shaped pieces — if they're too thick, they'll be soft instead of crunchy. 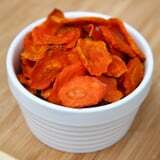 Place the carrot slices in a bowl, and toss with olive oil and salt. 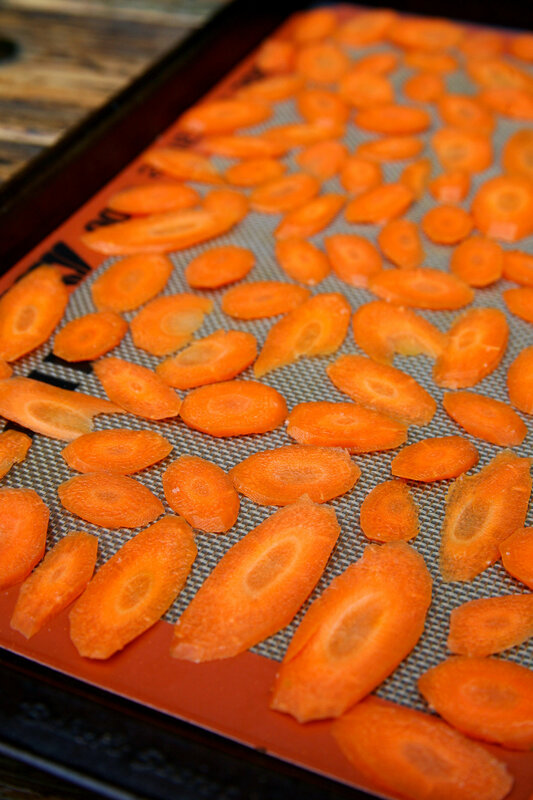 Lay the carrots in a single layer on a cookie sheet lined with a Silpat or parchment paper. Bake for 15 to 20 minutes, or until the carrots are dry and crisp. Watch them carefully toward the end, as they can burn quickly.